Modifying a Shipping Container: A How-To with DropBox Inc.
Modifying a shipping container into any number of portable, turn-key solutions can save you time and money compared to traditional stick built construction. When a standard ISO shipping container is used for portable solutions like security gates, chemical storage units, and portable labs, it can withstand weather of all kinds in a wide range of climates and environments. The corten steel used in the construction of the ISO shipping container is stronger than regular steel, won’t rust or corrode, is mold resistant, and is therefore the perfect building block. 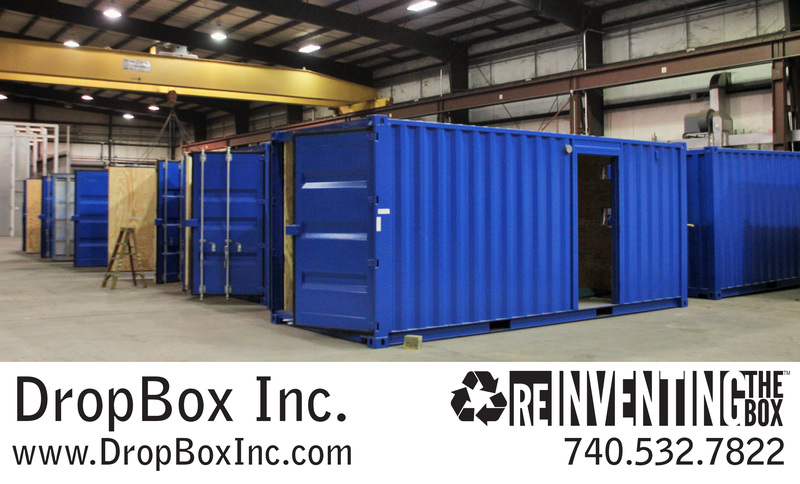 Shipping containers are affordable, versatile, can help to reduce your carbon footprint, and can be quickly constructed and easily relocated from site-to-site throughout the life of the container. Some of the things you will need before beginning construction your shipping container modification include but are not limited to welders, grinders, hammers, nails/screws, a wide range of power tools, and any number of doors, windows, insulation, and ancillary items required for your specific build. First things first. You have to have a plan. Maximizing your upfront engineering and design efforts will not only help you map out your ideas but also insure that you think things through prior to beginning construction. Once you have your plans all worked out you'll have to find and purchase a new or used shipping container, arrange the delivery and gather all the necessary building materials. At this point it may or may not be required that you have heavy machinery to move the container into location. Now that you've got your box it's time to begin construction. Depending on the desired outcome and purpose of your shipping container modification it may be necessary to remove or cut out portions of the walls, ceiling, and/or floor of the container using any number of grinders, saws, and/or welding equipment. After you've made the needed cut outs it's time to weld in any additional supports to mount the doors and windows, build walls inside of the container with either wood or aluminum studs, and frame jambs and headers around the wall openings as needed. Install your pre-hung doors and windows into the framed wall openings. 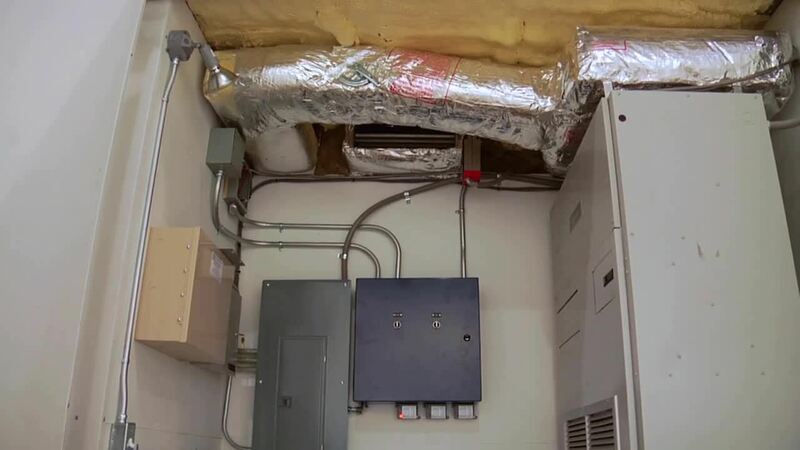 Place all of the electrical receptacles, switches and wiring as well as any plumbing needed. Coordinate with a licensed electrician or plumber if needed. Insulate all of the walls with fiberglass, mineral wool, or spray-on expanding foam insulation. Attach the dry wall, or other wall treatment, to the studs with screws. Install interior wall, ceiling and floor finishes as desired. Install an HVAC wall/window unit by creating an opening for it, framed similar to a window. Install light fixtures and any finishing touches based on the specific solution you're going for… and you're up and running! The modification of a shipping container for portable turn-key products like offices, restrooms, blast resistant modules, or modular housing for your company’s water filtration, and/or battery/inverter systems is a cinch when you partner with DropBox Inc. Our team of in-house designers and engineers will work directly with you to turn your ideas into a reality. 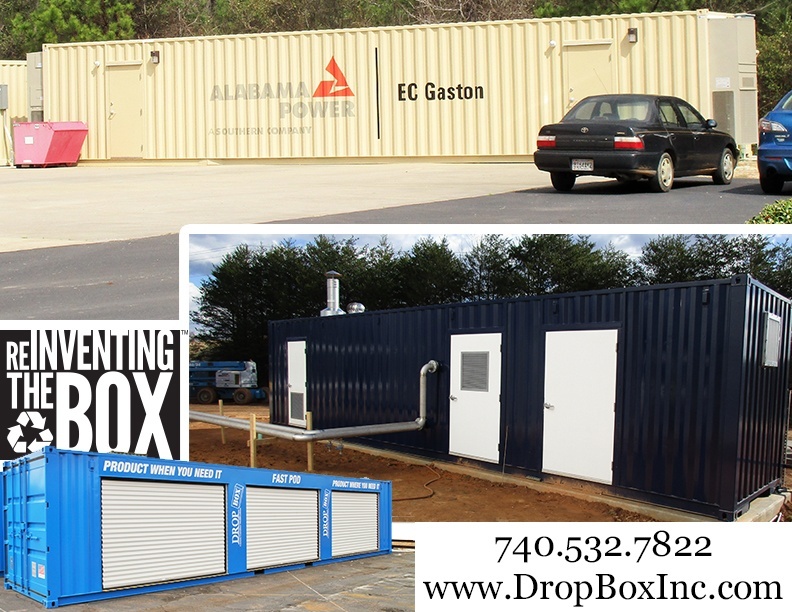 In addition to a standard product line of Blast Resistant Modules, Running Water Restrooms, and Ground-Level DropOffices, we also manufacture a wide range of custom shipping container modifications with custom floor plans, and custom designs. 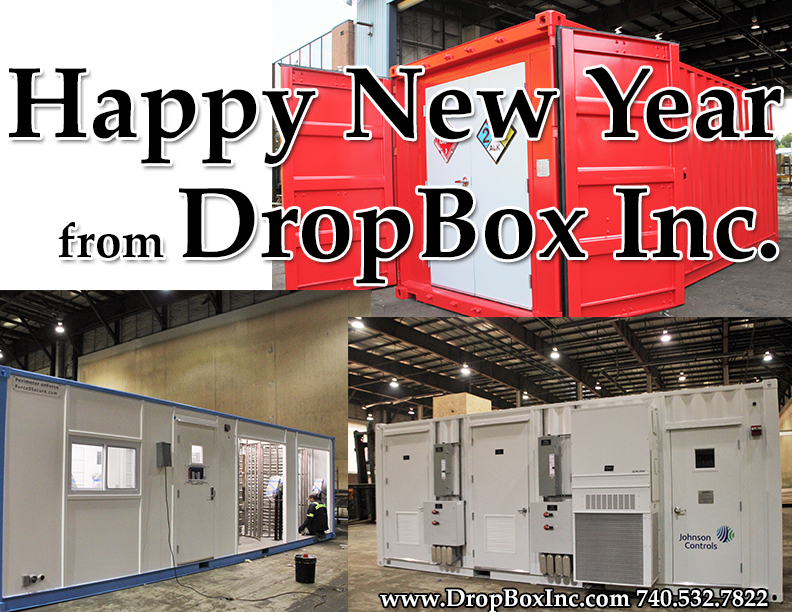 DropBox Inc. has well-established relationships within the ISO shipping container industry around the world. 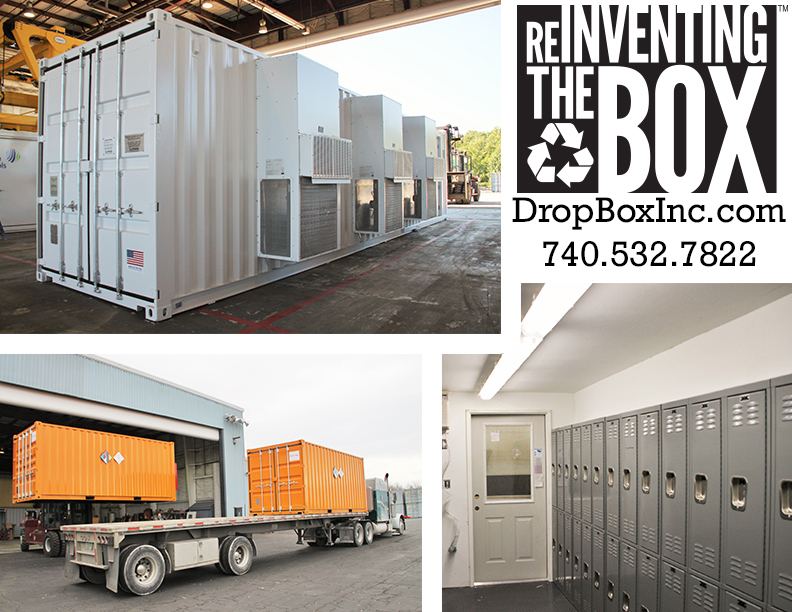 We provide our customers with the highest quality shipping container modifications possible. Our relationships are part of what makes us the premiere manufacturer of shipping container modifications. 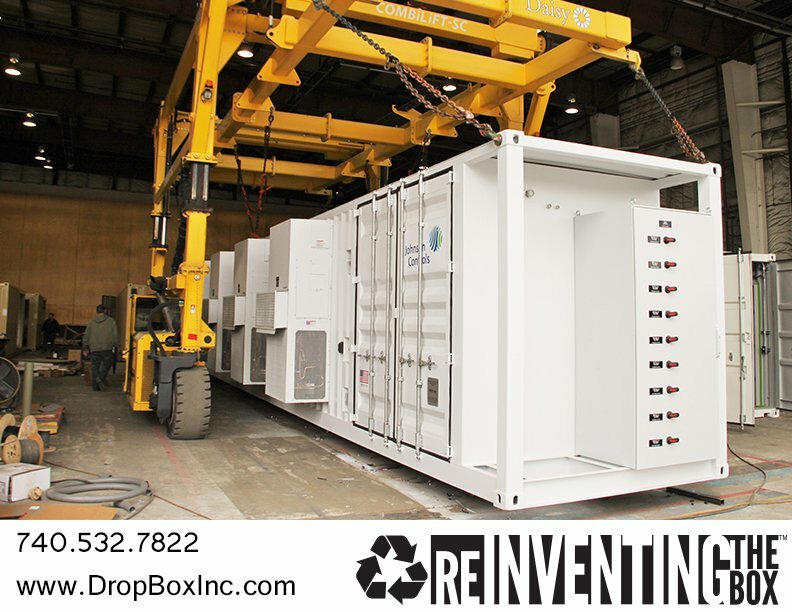 The recent rise of popularity of shipping container modifications being used as portable temporary and permanent solutions, in conjunction with a focus on recycling and re-use of resources, has made DropBox Inc. the "go-to" for companies in both the industrial and commercial construction industries in the U.S. and across the globe. 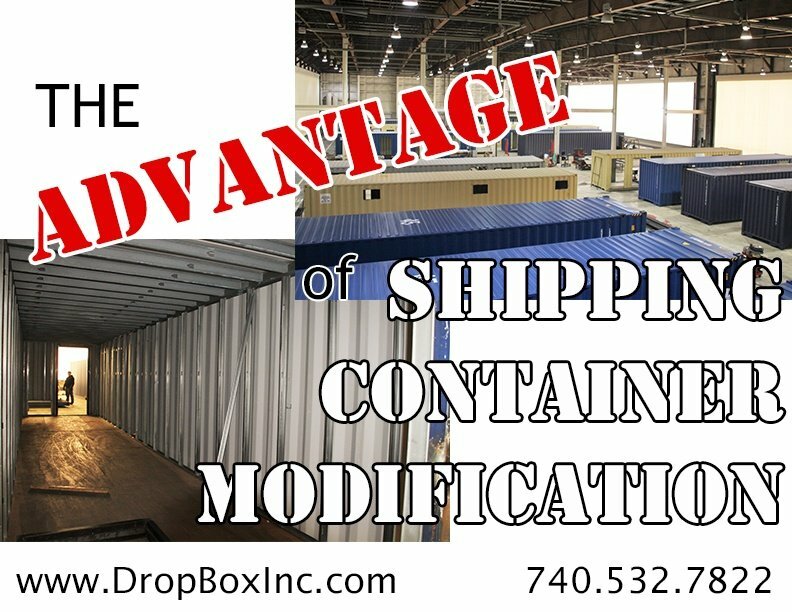 For more information about DropBox Inc. and all of our container modifications CONTACT US HERE or call us toll free at 740.532.7822. 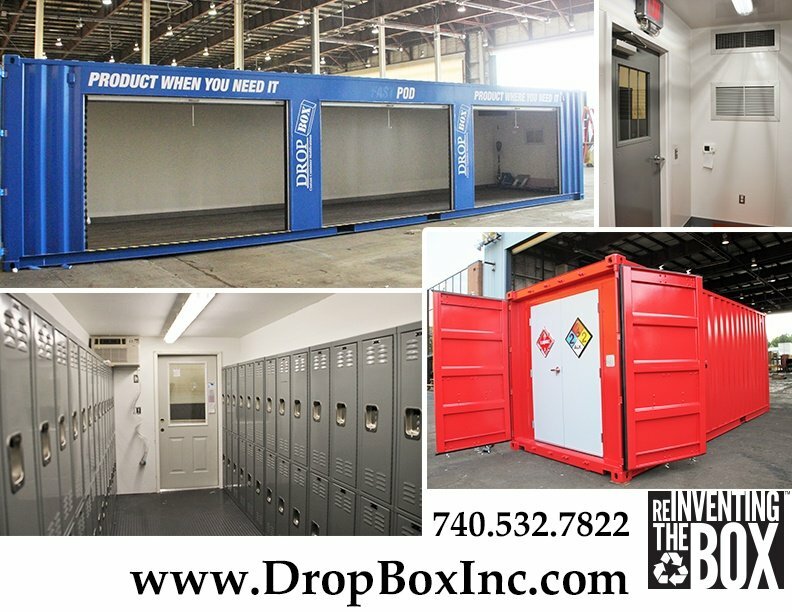 Regardless of whether you're at home, at work in an office, or on a busy construction site, information on our custom ISO shipping container modifications is readily available on our mobile friendly website, DropBoxInc.com. 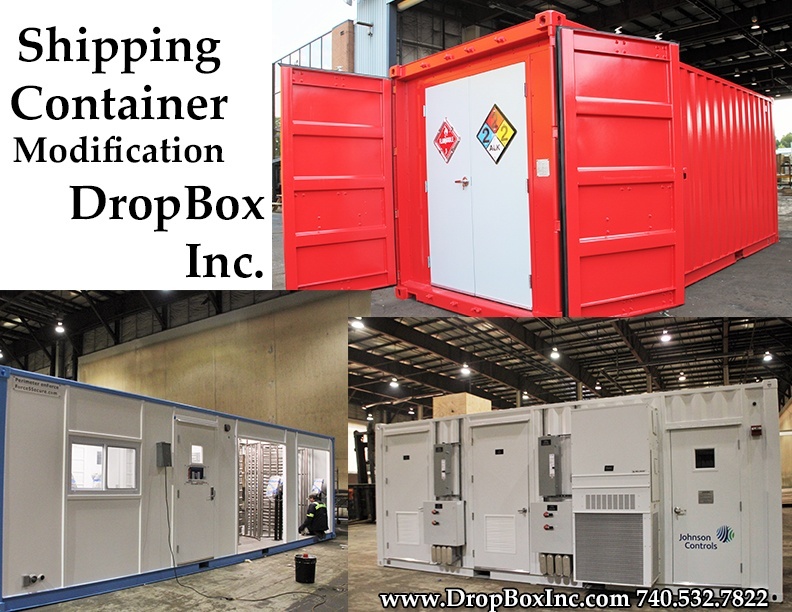 DropBox, Inc. is a container modification company that provides both standard containerized products and custom builds for shipment worldwide. Standard products include but are not limited to Blast Resistant Modules (BRM), Sanitation Stations (Commercial Quality Running Water Restrooms), Shower Trailers, DropOffice™ (Mobile Office), Mobile Tool Cribs, Decontamination Stations, Chemical Storage Units, High Security Storage, Wet & Dry CHU's, Laundry Units, and Welding Stations. The DropBox Design Team can modify any of our current products or start from scratch to meet your specific requirements. The custom options are limited only by your imagination and the total interior square footage of the chosen layout.